PT Asuransi Jiwa InHealth Indonesia - AJ InHealth or referred to as "Mandiri InHealth" is a well-established life and health insurance company in Indonesia. The Company is recognized as the largest players in group medical insurance in Indonesia as its controls about 12% of market shares (AAJJI Reporting, Q3-2015). Mandiri InHealth is a member of PT Bank Mandiri (Persero) Tbk (Bank Mandiri Group), the largest state-owned banks in Indonesia. 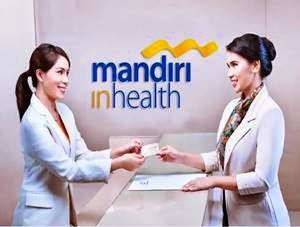 At present, the majority of Mandiri InHealth’s shares are owned by Bank Mandiri Group (80%). Another 20% are owned by PT Asuransi Jasa Indonesia (Persero), and PT Kimia Farma (Persero) Tbk, 10% and 10% respectively. Headquartered in Jakarta, Mandiri Inhealth now supported by 12 marketing offices, 10 operational offices and 50 services offices across Indonesia. According to PT Asuransi Jiwa InHealth Indonesia Annual Report 2015 as cited by JobsCDC.com, the Company booked total assets of Rp 1,841.69 billion in 2015 or 3.51% growth as compared with Rp 1,779.15 billion in 2014. Total gross premium written in 2015 amounted to Rp 1,431.58 billion, or 2.22% growth from Rp 1,400.38 billion in the previous year. Minimum background in Diploma Degree (D3) or equivalent. The candidate with prior experience minimum of 2 years in life insurance is preferred. The candidate with prior experience minimum of 1 year in insurance marketing is preferred. Willing to follow company regulations. JobsCDC.com now available on android device. Download now on Google Play here. Please be aware of recruitment fraud. The entire stage of this selection process is free of charge. PT Asuransi Jiwa InHealth Indonesia - D3 Account Executive Mandiri Group October 2016 will never ask for fees or upfront payments for any purposes during the recruitment process such as transportation and accommodation.